The beggar-thy-neighbor term describes economic policies that aim to enrich one country at the expense of other countries. Conventionally, the term is used in relation to such international trade policies as the application of import quotas and tariffs, regulation of corporation tax rates as well as currency depreciation. Therefore, the welfare gain in the country imposing the beggar-thy-neighbour policy is offset by the welfare loss in the countries affected by the policy. The effect from import quotas and tariffs is temporary and generally leads to retaliation. In order to prevent such beggar-thy-neighbor trade policies, WTO serves as a forum for countries to thrash out their differences on trade issues. Also, tariffs lead to a net economic welfare loss, i.e. consumers pay higher prices and it is only a small sector which benefits. Suppressing wages to subsidize exports could be beggar-thy-neighbor if the sole purpose is to increase a country’s competitiveness in the international markets. No wonder, such policies are not popular. 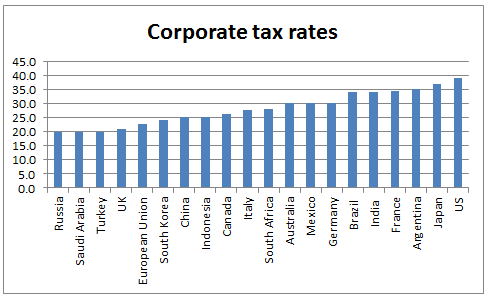 Tax competition is an effort to take away investment from countries with higher corporation tax. Although tax rates are lower, the idea is to make up tax revenue by attracting more firms. Of cause, lower corporation tax doesn’t increase global economic welfare and it just diverts investment from high tax countries to low tax. It should be stated that a tax system may include loopholes, which enable a lower actual rate. Also known as a competitive devaluation: a country gains from a depreciation of its own currency through higher exports. expensive. Therefore, countries can be engaged in currency wars through what is known as beggar-thy-neighbour policy. meant that competitive devaluation was not an option. In addition, International Monetary Fund and the World Bank were instituted. The Bretton Woods system was created to prevent the return of the beggar-thy-neighbour competitive currency devaluations of the 1930s. The main feature of Bretton Woods was a system of fixed and adjustable exchange rates, managed by the IMF, and backed by the US dollar. In 1971, US president Richard Nixon announced that the dollar would no longer be convertible to gold. By 1973 the Bretton Woods system of fixed exchange rates had been abandoned. the main impact is a deterioration of its terms of trade, i.e. beggar-thy-self/prosper-thy-neighbor.